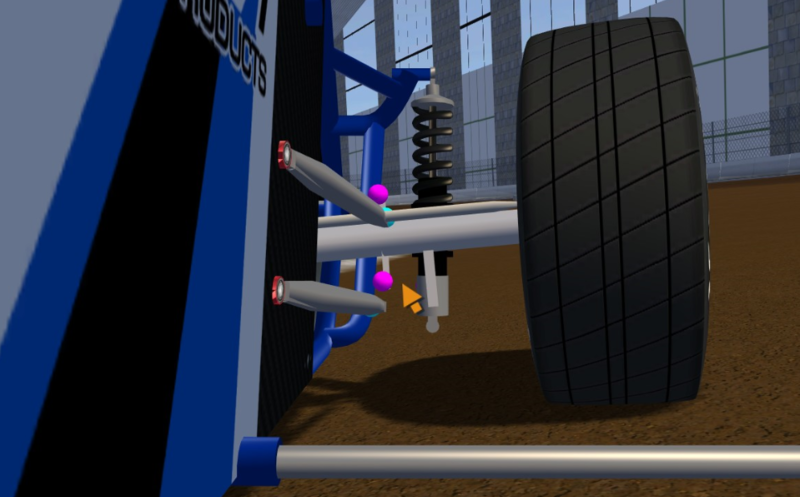 Inverse kinematic is used to animate the suspensions and to link the driver hand to the shift lever. Pink and blue are in the same position on the spinner, once on track blue marks the static position of the end of the link while pink moves with the axle. I'm assuming blue should be at the other end of the rod, away from the axle.